Welcome to the landing page for The Learning Child outreach programs. Use the links in above to access a variety of resources for Early Childhood Professionals and Families. Scroll down to find out more about our outreach programs. For program information specific to Douglas and Sarpy counties, click HERE. The Learning Child team is pleased to offer our newest program, Block Party! Block Party is a hands-on, engaging program for early childhood educators, families and children. By taking time to play with a variety of blocks, educators and families will develop a better understanding of the multitude of ways children learn by playing with blocks! Block Party is offered as a professional development class for educators, or in partnership with early childhood program, libraries or other organizations as a family outreach activity. Click HERE to learn more about Block Party! Look Who's Hatching is a new program available from Nebraska Extension for childcare centers and family childcare programs with preschool age children. The program was piloted in the Summer of 2015 in Douglas and Sarpy counties. In the summer of 2016, Lancaster county started offering Look Who's Hatching to programs in their area. Look Who's Hatching starts with the concept of "What could be inside of the eggs?" The curriculum, which will be available in 2018, guides early childhood teachers through the process of introducting the eggs to the children. The program lasts approximately four weeks, but depending on the children's interests, the classrooms might explore oviparous (egg laying) animals for many weeks after the eggs are gone. Childcare teachers and staff are encouraged to attend a two-hour workshop in the spring to learn more about the program and explore the curriculum. 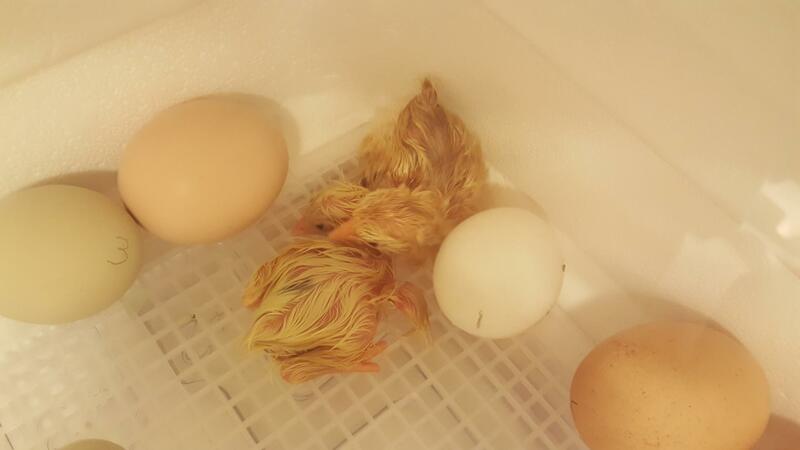 After attending a workshop, childcare providers are able to request an incubator and eggs for their classroom. The current cost to bring this program to your site is $50. (Currently available in Douglas, Sarpy and Lancaster counties. If your program is in another county please contact us to let us know you are interested!). To get an idea about some of the projects that we are going to do in the Look Who's Hatching program, check out our Pinterest page by following the pin below. Want to find out more?! If you live in Nebraska: If you are interested in having your early childhood class participate in a program with Nebraska Extension's Learning Child Team, please contact Katie Krause at katie.krause@unl.edu or Jaci Foged at jaci.foged@unl.edu. If you live outside of Nebraska: If you are in another state in the U.S., you can click here to search for your state's cooperative Extension website. Many (not all) Extension programs do an embryology program with children and youth. They may be able to help you borrow an incubator, find fertilized eggs, and find homes for the chicks that hatch. Please feel free to contact us if you need help connecting with your local Extension office. The purpose of the Growing Together Garden Project is to increase young children’s healthy eating habits and to increase the amount of time they spend outside in natural environments.